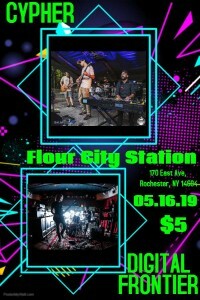 Digital Frontier make their long awaited debut at Flour City Station. Local favorites Cypher will start the night off. Digital Frontier is a four-piece outfit on a mission to bridge the gap between electronic dance music and live instrumental performance.